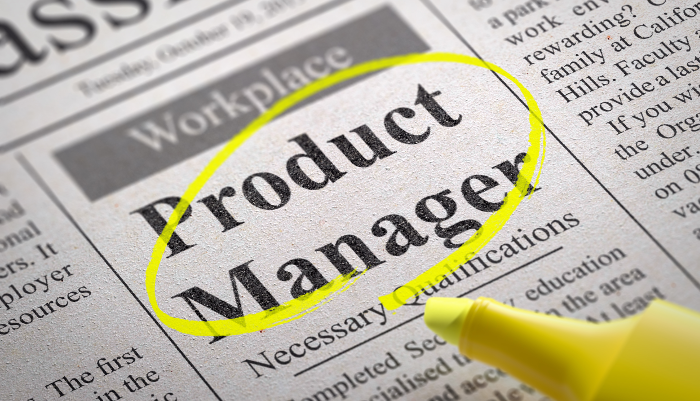 So you want to be a product manager but you don’t know where to start. That is a common problem, especially in a field changing as fast as this one. As a team of product managers ourselves, we thought we would put together a few tips to help you get started. This includes some basics, tips, and great resources we follow ourselves. No — it’s not all just roadmapping. If you’re a product manager, you’re busy wearing lots of hats: conducting research, managing ideas, spec’ing, and talking to customers. You’ll need to brush up on your communication and listening skills — especially the latter! You will be sitting between commercial, technical and customer-facing teams, and you’re the one responsible for translating all that into a meaningful product vision. If you work at a startup and are looking to become a full-time product manager (or hire one), first figure out whether your company needs one. Businesses usually hire a product manager as they reach their first growth stage. If you’re not there yet, it may be a role that can be shared among several people. As Head of Customer Success at ProdPad, I spend a few hours a day researching and answering questions about the field. One thing I’ve noticed is that there’s a lot of people asking about how to break into product management, and the conversation always leads into ‘How much money can I make?‘ As the old saying goes, Money isn’t everything! If you have no passion for the product, you cannot expect to give it vision or direction. You need to believe in it in order for your customers to believe in it, and even more so, your team. Part of being a product manager is being a leader, and you can’t lead without passion. If a company offered you a ton of money to be their product manager, but offered you absolutely no resources or support to do your job, would you want to stick around? Probably not. Make sure that your employer offers you the right infrastructure and allows you to get the right tools. I dislike using the term ‘culture fit’ — but it’s almost a necessary term. Working with like-minded people does make a difference. At the end of the day, it won’t matter how much money a company is paying you if you are unhappy. There is no official certification! Anyone trying to sell you a ‘certification in product management’ isn’t offering you anything legit. There is no official certification, training, course, or degree in product management at all. There are, however, a lot of really great resources available. Check out your local ProductTank and ProductCamp meetups. Also be sure to follow and attend the next Mind the Product event! Yes — ask us about anything! We are always happy to answer your questions, learn about what you’re doing, and put you in touch with the right people. Follow up with Part 2. Building amazing products has never been so easy.